This post is meant to help users understand the new software features we are releasing - more will be included in the future as well to ensure we cover all commonly asked questions. Because we've completely re-written the core code of our software, there are some pretty significant changes that have taken place - most of which are "under the hood". 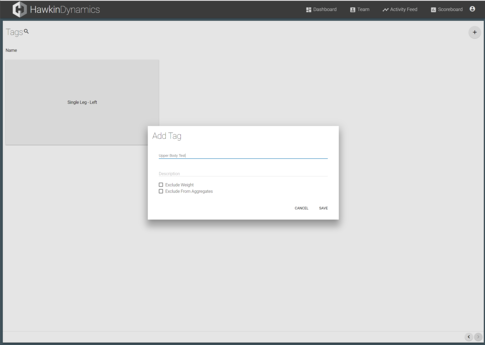 One of the main new features you will see is the ability to "tag" tests. The easiest way to explain how they work is with a couple use cases. 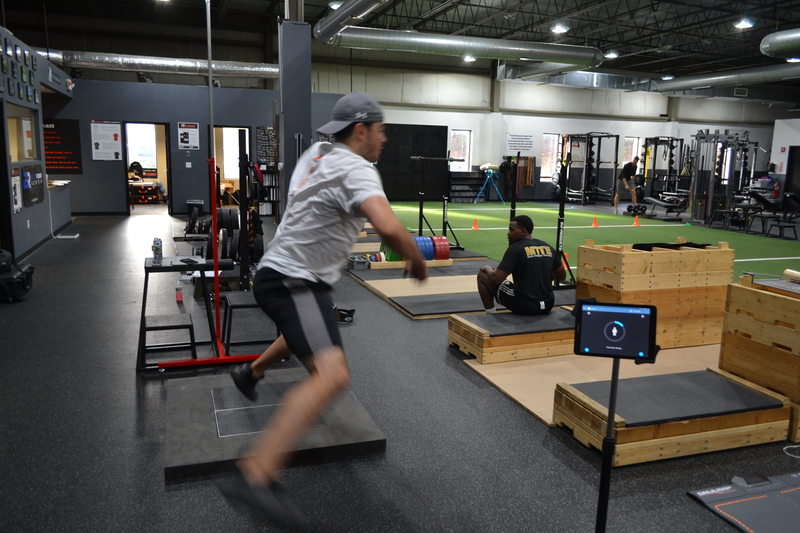 Imagine you are doing Countermovement jumps as part of your testing program and your tests have been performed with hands on hips. Now you are curious to see how much the upper body component contributes to your athlete's performance. You could start allowing the athletes to perform the tests with arms free but now you can't compare that data over time, its not comparing apples to apples at that point. Tags allow you to overcome this issue by letting the system know that these are two different types of tests and should not be comparable. 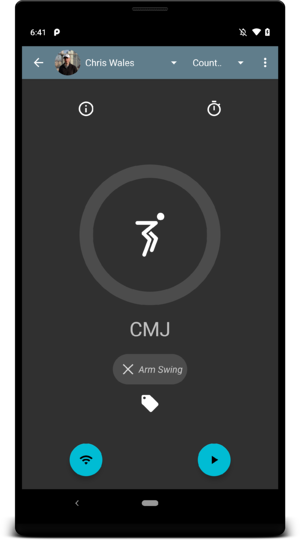 It keeps your hands on hips CMJs and your arms free CMJs separated. The other awesome thing about tags is that, in combination with the Free Run and Isometric tests, you can essentially create any test you want to do. 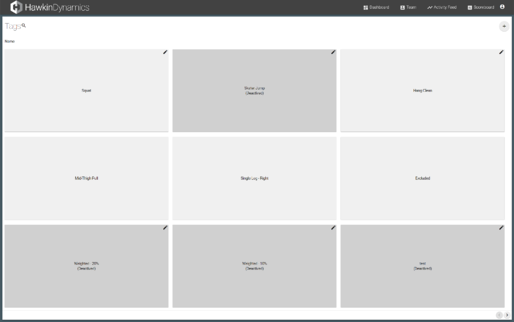 You can create as many tags as you want in the web app and they are automatically synced to the app. If you decide you don't want to use a tag in the future you can also disable them to keep consistency within your organization. Upper body tests, isometric squats, any type of pull, the list goes on. We are really excited to see what people are going to come up with. We are also working on a Free Run mode that calculates velocity which should be rolling out soon. 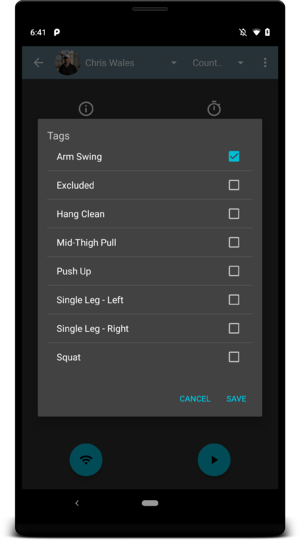 To add a tag to a test in the app, press the tag icon under the test type on the testing screen and select the tag from the list of your created app. Its as easy as that. We have also greatly expanded to ability to compare data across the system. This is a huge change that we are really excited about and opens the door for a lot of awesome new reports and features going forward. You can create and group athletes however makes sense for your program and compare athletes within the group and even to other groups to see how they stack up/have changed in comparison. 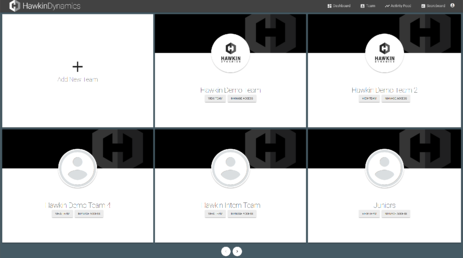 This can also be done on the team level for users with access to multiple teams. Population scoring is useful for providing a level of context to your data. Instead of strictly focusing on the raw and calculated outputs, which we will always include, you can also see how an athlete is improving (or not) against a previous period, last year, or against another group/team of individuals. We are really just scratching the surface of what can be done here - as the Athlete "Averages" page can show. 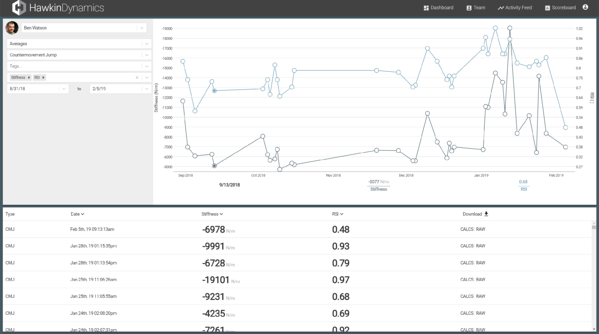 Comparing two metrics over time against one another is just one of many features we're going to be adding in the coming weeks and months. We will be posting more soon about other new features, including a post specifically about team management and how to set-up new users, though this functionality should be relatively straight forward. As always, feel free to reach out on our support-chat bot on our website (as several users have - sometimes our first point of contact), and also contact us at support@hawkindynamics.com - we are here to help!